In order to build a successful paid membership community with a discussion area, you may want to restrict access to some content areas, based on a subscriptions plan. If you use both Paid Member Subscriptions and Profile Builder Pro, you have to know that bbPress is fully integrated with both of them, and you can extend user profiles with the bbPress add-on. Both plugins are shortcode-based and easy to setup and to continue, I won’t enter any specific steps, but in case you need help with the installation part of the plugins, you can read the documentation: bbPress / Paid Member Subscriptions. Firstly, after installing both plugins you will need to create some subscription plans if you don’t have them already up and running on your website. Furthermore, let’s think you have a private community, and your audience is consisting of WordPress users and developers. Beyond the resources you may want to offer with the subscription plans available, you may want to open a forum discussion, where they can exchange opinions on WordPress related topics, and help each other. 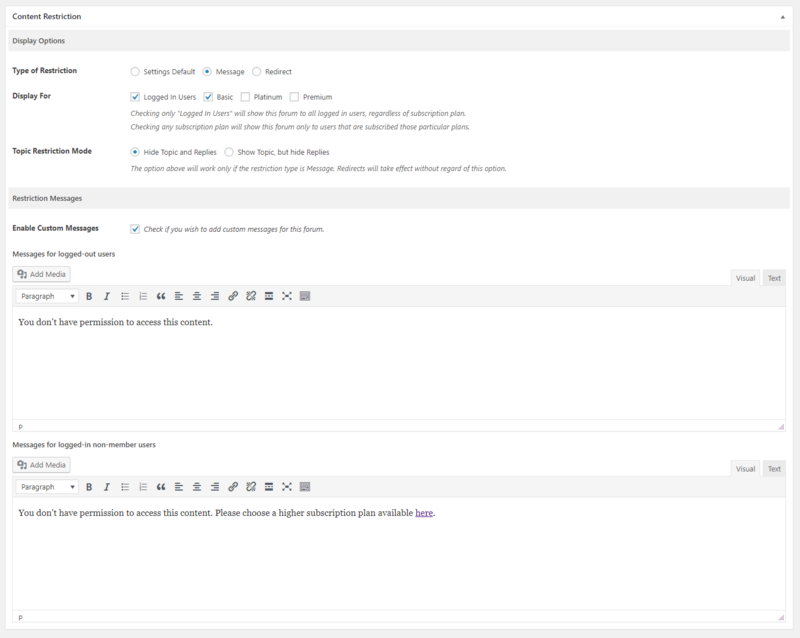 To have a forum up and running, you need to create one with bbPress in your WordPress dashboard. There you will find the following section names: Forum / Topics / Replies. 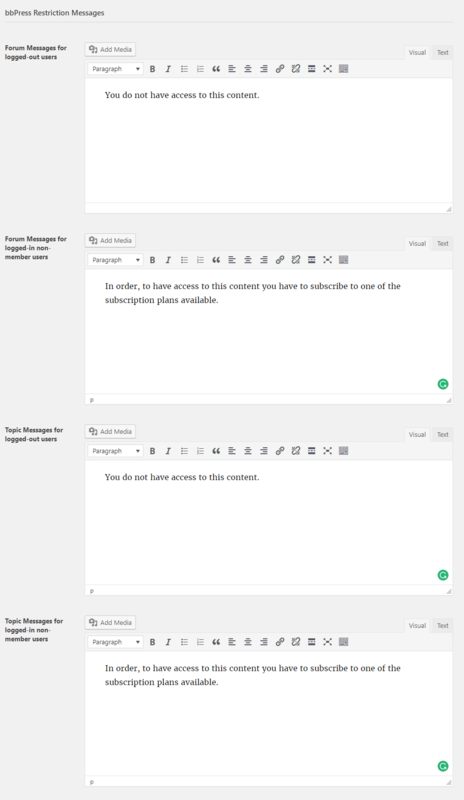 Within the first one, “Forums”, you will find a Content Restriction area, when creating a new forum page. Inside the Content Restriction settings, you will choose the type of restriction, who can see it and the topic restriction mode. If you choose to restrict the content of the entire forum, which means “Hide Topic and Replies”, and display a message to users, then on the front-end of your website, they will get the following message. If you choose the other option available, which means to redirect them to another page, a new section will be available in the content restriction settings and will enable you the possibility to set up a Custom Redirect URL. With this option, you can lead your users to a custom pitching page. To continue with, you can choose to restrict Topics and hide Replies. So you can see the questions, but not the answers. This works great for an “Expert Exchange” type of website. 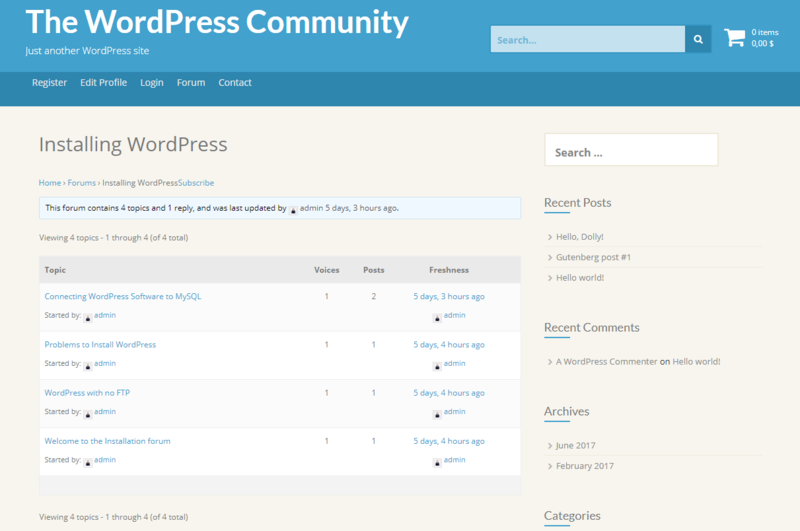 As regarding our WordPress community, we will see all the topics available for discussion, and the first post was written, but not the answers. However, users can’t see other replies posted by other members of the community. At the same time, you can customize the restriction messages displayed on the front-end of your website both generally, as well as specific per forum. To customize the general restriction messages, go to your WordPress Dashboard -> Paid Member Subscriptions -> Content Restriction. There you can change the general restriction messages, the ones specific to WooCommerce, as well as the ones for bbPress integration. Additionally, as I mentioned before you can customize the restriction messages also individually per forum. You just have to go to the specific forum you want to personalize, click the “Edit” button and fill in your message. Congratulation! Until this point, you have learned how to restrict the content of your forum and display custom restriction messages for your users. Going further with the bbPress integration with Paid Member Subscriptions, we’ll go into details on how to restrict bbPress topics based on membership subscription. Basically, the process of restriction is similar to the one presented above. 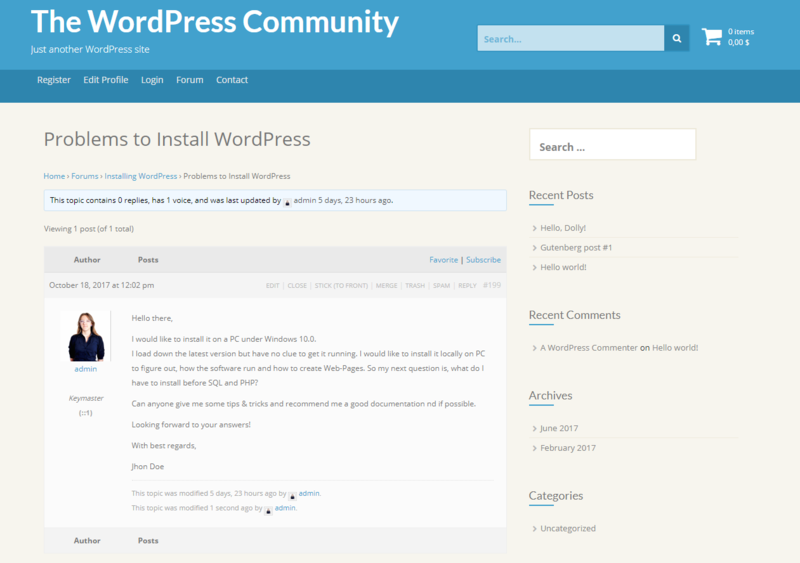 Firstly, you create a new topic, let’s say “Connecting WordPress Software to MySQL”, assign it to a forum, fill in a short description, and proceed with the restriction. You will find the same Content Restriction section available in the same place as before, at the bottom of the page. In my example, I have restricted the topic to “Hide Topics and Replies” for the Basic Membership Plan, so the visitors of my website will get the following message “You don’t have permissions to access this content”. The subscribers of the Basic Membership Plan will receive “You don’t have permission to access this content. Please choose a higher subscription plan available here.”. This is how I restrict the content based on a subscription plan and display a tailored message for each category of subscribers. Regarding the custom content restriction messages, you will have to go through the same process for the topic restriction messages. There you can customize them both generally and individually. Congratulations! You have now restricted your bbPress forum and topics based on a membership subscription. Do you find it an easy process to set up or find any difficulties along the way? Also, if you think there are any missing features, let us know in the comments section below.